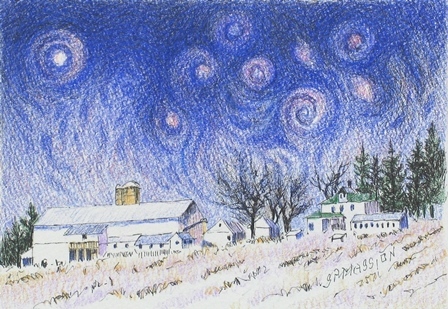 Original Ink Pen and Colored Pencil Drawing by Artist Suzanne Poursine Massion - "Starry Night Over Evergreen Farm"
This is the perfect gift for a friend or special occasion. 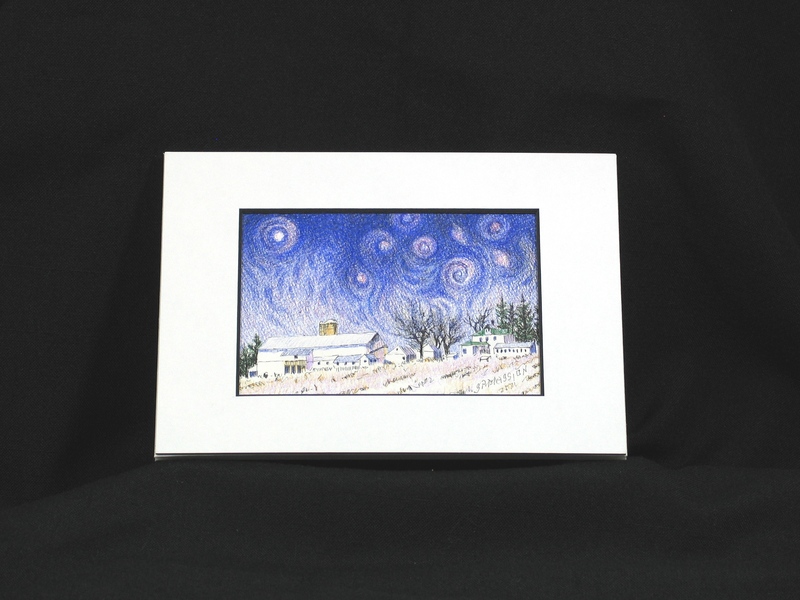 Purchase "Starry Night Over Evergreen Farm" for that space in your home or office that cries out for a small eye catching peice of original art. Each drawing in this collection is unique. I do not repeat myself. Another View Showing The Matted Drawing. 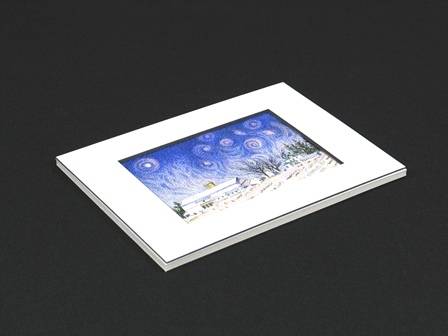 The matted size is 5"H x 7"L.